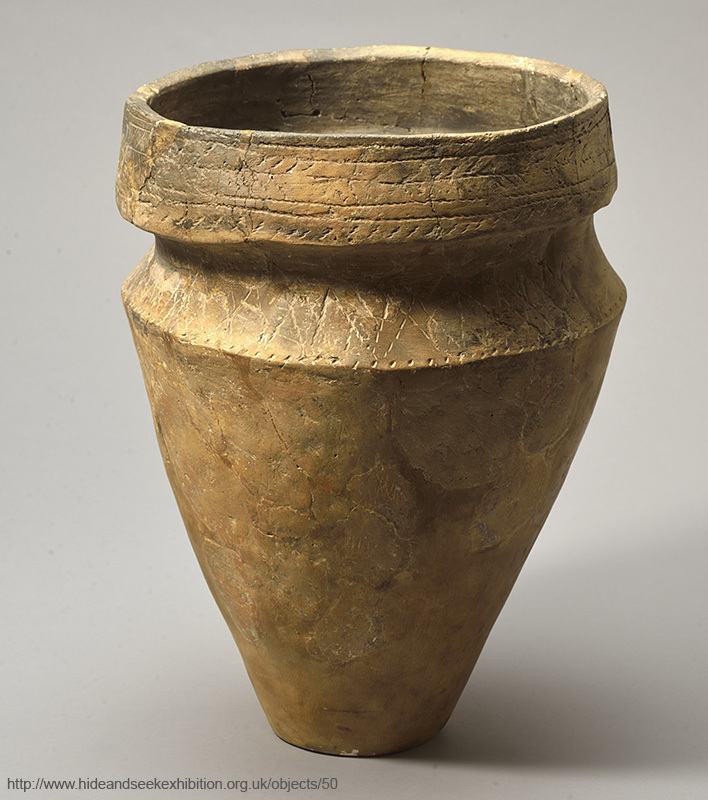 These vessels – named after their heavy ‘collar’ – are very difficult to make well. Any small error is exaggerated as the vessel grows larger. 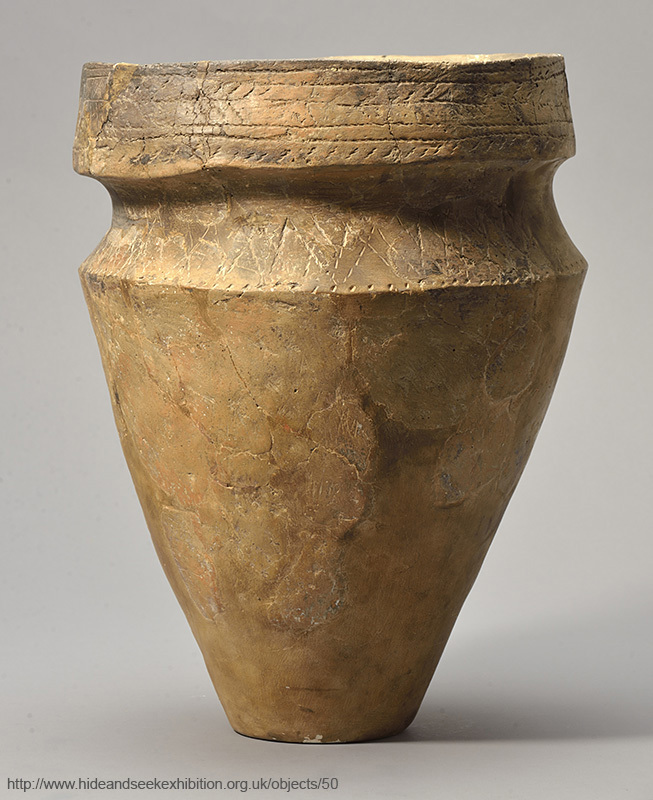 The potter who made this urn was extremely skilled, expertly balancing the narrow base and wide mouth.